Many home improvement amateurs can feel put off when it comes to making DIY improvements to their homes. While it’s true that things can be expensive to fix if something goes wrong, you shouldn’t let it put you off. Here, you’ll find DIY improvements that even amateurs can do, as well as some helpful tips. Repainting a room is very easy, and your chances of messing it up are slim. Make sure you choose the right color for the mood of the room. If you’re feeling adventurous, you could try wallpapering, which is it a little harder but not all that expensive to fix (you should just make sure you don’t spend too much on your paper). You could try refinishing an old dresser, desk, or another piece of furniture that has started boring you. All you have to do is remove the hardware, use a stripping agent to take off any varnish, then sand the dresser. After this, wipe off dust, then use your chosen paint or stain and take your time. 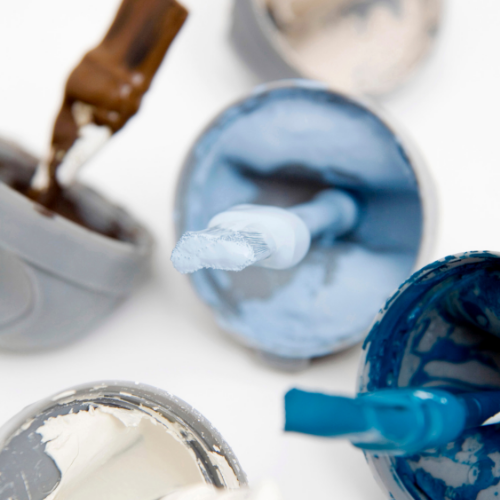 You can apply a second coat once dry, before a protective finish and adding your hardware again, or even new hardware. Make sure you read instructions and don’t rush, as you may need to leave hours in between coats sometimes. A new headboard can give your bedroom a makeover, and even a focal point if you’re feeling creative enough. You could use an old door or a picture frame for example. You could even paint a headboard directly on the wall. The above suggestions are pretty easy, but here are some tips to make sure you get it right. Remember, if you’re ever too unsure, call a professional instead. Get some pictures of what you’re looking to do and take it to a local hardware store. They will be able to tell you what kind of materials you need and may even be able to suggest methods and techniques. Going into a project unprepared is a huge mistake. This will make the project take even longer and can bring up some pretty big problems along the way. Make sure you know what materials you need and how much. Ensure you don’t skip any steps and that you have a timeline you can easily follow! Testing out projects before you take on the real deal is a good idea. You can use old materials that you have no use for to practice with. When it comes to laying tiles, for instance, you can use an old table or piece of wood to get it right. Even if you just plan on painting a room, painting a tiny bit of wall and making sure you like how it looks in daylight and at night time is a good idea. It’s never good to rush a project just because you want it over with. Take pride in your projects and enjoy the process! It’s pretty common sense, but you should start off small if you haven’t done this kind of thing before. Smaller projects will help develop your home improvement skills, building you up before you tackle the bigger projects on your own. A good workman never blames his tools, but that doesn’t mean that you can’t invest in some decent tools to help you get the job done with ease. If you’re taking your role of home handyman seriously, tools are a must. Make sure you have the basics, like hammer, wrenches, screwdriver, saws, measuring tape, drills, etc. You’ll be more confident early on in your DIYing journey when you have better tools. Remember, you can always rent out more expensive tools early on if you’re not sure whether you really need them or how much you’ll use them. You’ll also spend less in the long run as you won’t have to worry about tools breaking frequently. Replacing them regularly will be expensive. Are you ready to give DIYing a whirl for yourself? Leave your thoughts and any tips that have helped you below!